FORT SAM HOUSTON, TEXAS — An Army-wide campaign was launched this week at a headquarters town hall hosted by Lt. Gen. Kenneth R. Dahl, commander of the U.S. Army Installation Management Command. 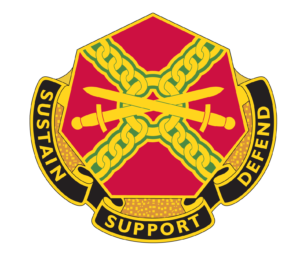 Officially known as the IMCOM Service Culture Initiative, the campaign represents the command’s long-term commitment to providing the best possible customer service to Soldiers, families and communities. The campaign is based on the premise that excellence in customer service is a result of how an organization treats its employees. If employees have engaged and caring leaders, feel valued and respected for the work they do, are properly trained, and live the Army values, they will in turn pass forward this positive attitude to their customers and to their co-workers. “This will take the combined effort and commitment of every IMCOM professional to be successful,” Dahl said. Underscoring the importance of the campaign and acknowledging that IMCOM touches each and every Soldier and family every day, Dahl waited until he could personally address the workforce and emphasize his commitment to the campaign by unveiling it personally, and publicly. At the town hall, Dahl, along with other senior IMCOM leaders, signed the first “Leadership Pledge” surrounded by his headquarters workforce. The pledge serves as a visible symbol and a reminder to leaders that all employees deserve respect and the basic tools needed to be successful, including proper on-boarding, performance standards, training opportunities, recognition programs, empowerment, and a commitment to hold one another accountable. “The pledge and the principles defined signify a return to the basics — Leadership 101. The pledge serves as a reminder of the importance of these ideals and a reaffirmation that we, as leaders, have a responsibility to ensure you are successful,” Dahl said. The campaign relies on actions related to four basic focus areas to reach that goal: team member sense of belonging to their organization, leader engagement, on-boarding, and team member recognition. “We want to establish a culture where members of the IMCOM team take pride in the organization, fully understand and live by our organizational values, feel valued and respected, and are led by engaged and caring leaders,” said Mr. Matt Margotta, Program Manager for the Service Culture Initiative. “While most of the command is already doing this in some fashion, codifying and standardizing the principles, the process, and providing the tools and training to assist leaders and employees at all levels helps ensure we establish a culture of service excellence across the 70 plus installations around the world,” Margotta explained. In informal communications to the staff as the campaign was being developed, both Margotta and Dahl were quick to point to examples of great employee and customer service throughout the command. Over the coming year, starting with a self-assessment at the garrison level, leaders will implement changes in the four focus areas, sign employee and customer pledges, demonstrate a commitment to employees and each other, and create, reinforce, or enhance employee recognition and on-boarding programs.